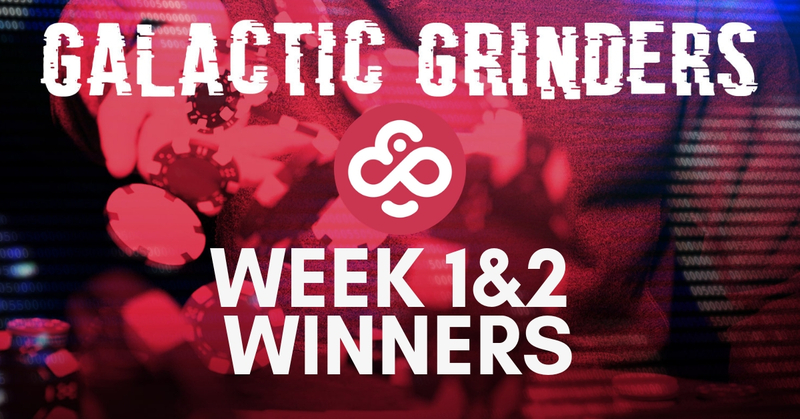 Week 3 of March’s 1,000,000 CHP Galactic Grinders Leaderboard is underway, but let’s take a moment to congratulate the players who made it to the top 50 paid spots in Week 1 & Week 2, collecting a cut of 200,000 CHP. Quick recap: every week this month we give away 100,000 CHP to players who collect the most leaderboard points, and the overall monthly winners will share the remaining 600,000 CHP. If you didn’t make the cut don’t worry, because we have another 800,000 CHP left for you to claim in March. For more information on how to get in the action, as well as the complete list of winners and live scores, click here.